The Ethiopian economy is dominated by small scale farming. It is a source of food, provides raw materials to agribusinesses and is a means of living for 85 percent of the population. It also has the lion’s share of export earnings. Nevertheless it is rain fed for subsistence and during adverse weather conditions farmers suffer disaster and economic shock take place on a macro level. Therefore, to minimize the risk, providing insurance service to farmers with the collaboration of government and non-governmental organizations has been accepted as a way out. The Manager of General and Micro Insurance Business in Nyala Insurance Company Solomon Zegeye said that since 2009 his organization with the cooperation of the the Ethiopian Meteorology Agency, the Ministry of Finance and Economic Development, the Commission of Environment, Forest and Climate Change and donors, has been providing insurance services to farmers in different regions. Currently farmers in Tigray, Oromya, Amhara, Benishangul Gumuz, Gambella and Southern Nation, Nationalities and Peoples Regions are benefiting from the weather index insurance project. According to Solomon, before getting the insurance service farmers must be a member of the farmers’ cooperative association and the association must buy the premium from the insurance company. Side by side with this, Nyala Insurance Company, before providing the service, purchases the weather index data regarding the rate of rain fall, which rained for many years, in the farmers’ plots from the Ethiopian meteorology Agency. If the data obtained from the agency indicates that the damage occurred on the farm was due to drought, farmers will be provided with the insurance money. Tsegaye Tekle is the Director of Aggro Meteorology at the Ethiopian Meteorology Agency and according to him, the proclamation number 202/1980 provided the mandate to operate on a national network of metro stations designed to monitor various climatic regions and support various national development plans. It also gives warning on adverse weather conditions and disseminates information to stakeholders. Since 2009, based on the agreement with the Nyala Insurance Company, his agency has been providing weather data received from the satellite. He further said that the agency has data documents which indicate the recent past, present and future weather index which could be interpreted by several professionals such as agronomists, soil specialists and economists. According to Solomon, the interpretation work of the data in line with the facts observed on the ground involves various professionals and in this phase, donors support the research work. The World Bank and the World Food Program also play a crucial role by providing the necessary finance, advice and technical support. He further said that based on the outcome of the data research and interpretation, if the rain failed to rain or rained below the predicted amount, the damage is calculated based on the value of the farm yield and his company pays the money in the form of insurance. On the other hand, the World Food Program website indicates that since 2009 the organization provided technical and financial support to the researchers for weather index insurance with the cooperation of non-governmental organizations including the Nyala Insurance Company. So far farmers in the Southern Nation and Nationalities and Peoples, Gambella and Beneshangul Gumuz benefited from the program. It further said that it has a guide to show that weather index insurance operates best as part of an integrated approach and when constraints occur such as lack of finance, improved seeds, input and markets, the problem could be properly addressed. Currently the organization reaches 40 thousand farmers in Ethiopia, Senegal, Malawi and Zambia through the combination of risk management strategies in asset creation, risk reduction and livelihood diversification. 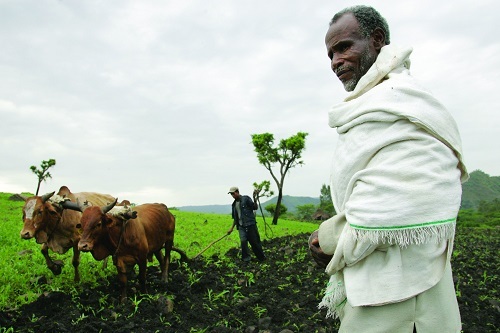 As per Solomon, as agriculture is the back bone of the Ethiopian economy, providing insurance services for both crop and livestock farming is essential. 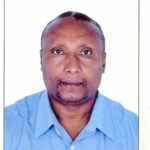 Studies are also undergoing to provide insurance services to pastoral communities in the Somali and Afar regions of the country. The weather index insurance will be implemented similar to the crop insurance with the support of satellite information provided by the Meteorology Agency. The data gathered from the satellite indicates the place where livestock fodder and water are available. But pastorals must primarily be a member of cooperatives in their areas and should buy premiums beforehand, the payment of insurance money delivered when rain fails and the fodder and water has dried up. The micro insurance service in addition to providing insurance money to farmers and cattle raisers, has an objective of creating an inclusive financial system. Traditionally insurance is regarded as the business for the well to do class who have a capacity to purchase a premium for their property and life insurance. This attitude is deep rooted even in the urban centers though the poor and marginalized did not even want to think about insurance business and never think about obtaining such services. When uncertainty occurs they will be forced to beg from others and will ultimately find themselves in a desperate situation. Hence, expanding micro insurance services all over the country is vital for poverty reduction and achieving financial inclusion. When the Nyala Insurance Company began providing micro insurance services in 2009 it was only for 200 farmers. Now however, the number has risen to over 10,000 which indicates the incremental aspect of the provision of insurance services in the rural part of the country.